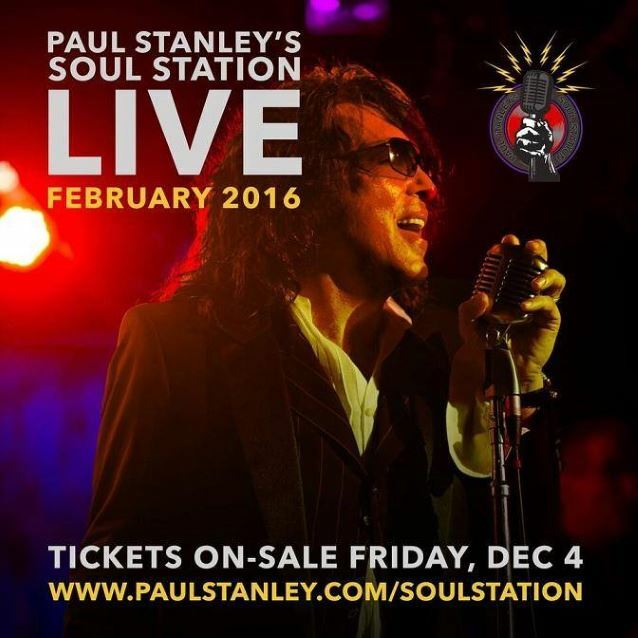 Fan-filmed video footage of KISS frontman Paul Stanley's latest solo project, an R&B band called SOUL STATION, performing on February 28 at The Rose in Pasadena, California can be seen below. SOUL STATION made its live debut on September 11, 2015 at West Hollywood, California's The Roxy Theatre. 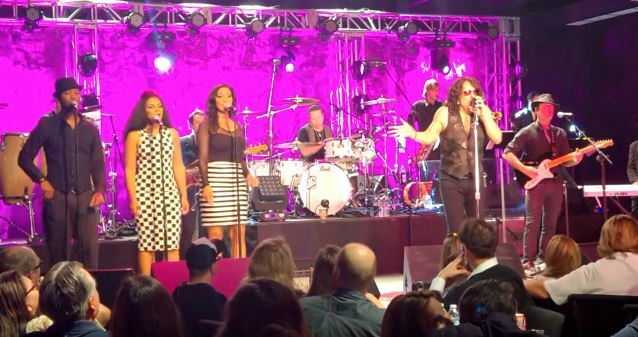 The ten-piece band also features KISS drummer Eric Singer. Regarding how the idea for SOUL STATION came about, Stanley told Rock Cellar Magazine: "Well, my roots are much more broad and varied than some people might realize. This is funny; I was having tea with Jimmy Page in London and we were talking about this. I said, 'Before I ever saw [LED] ZEPPELIN or THE WHO or any of those bands, I saw Otis Redding. I saw Solomon Burke. I saw THE TEMPTATIONS.' So it's very much a part of my DNA. Motown and Philly soul and Stax/Volt, all that music is really, unfortunately too nostalgic at this point and used too often for loops and samples as opposed to hearing a great song. What's missing nowadays so much is great live performances of that material. What's being passed off now as R&B is usually a computer and a drum machine. For a while, I thought about that, and I had an opportunity a few years ago to put together something that was in essence SOUL STATION. We did a couple of private shows and we all looked at each other said, 'Why aren't we doing more of this?' It's great to have that coming from people who are not only in demand but working all the time with Stevie Wonder or Smokey [Robinson] or Pink or John Mayer. These are real crème de la creme players but everybody has the same passion for this music. To be able to recreate it, not in a sterile way but with the same passion and intensity that it was made with is something that we all feel very close to."